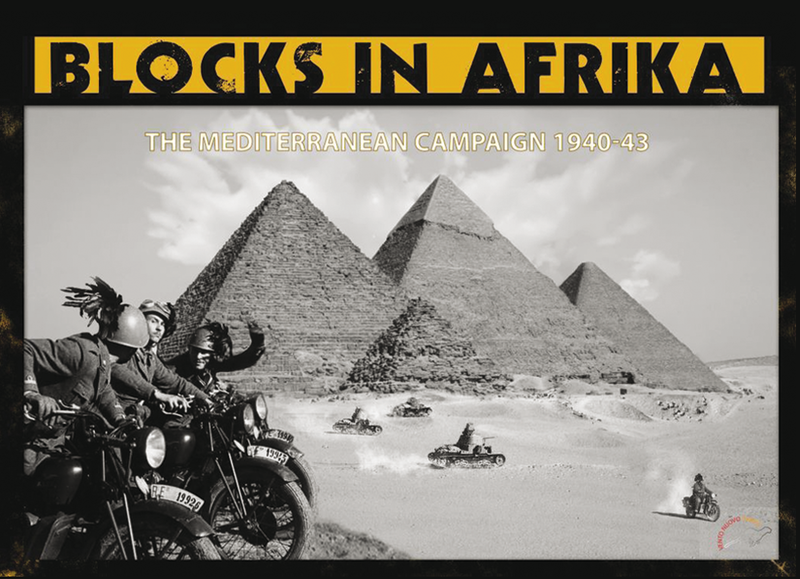 Blocks in Afrika (BiA) rounds out our “Blocks” series by covering the entire North African campaign, including all the most decisive battles fought in the Theater, from the Italian drive to Marsa Matruh in Summer 1940, until the collapse of the Axis forces in September 1943. 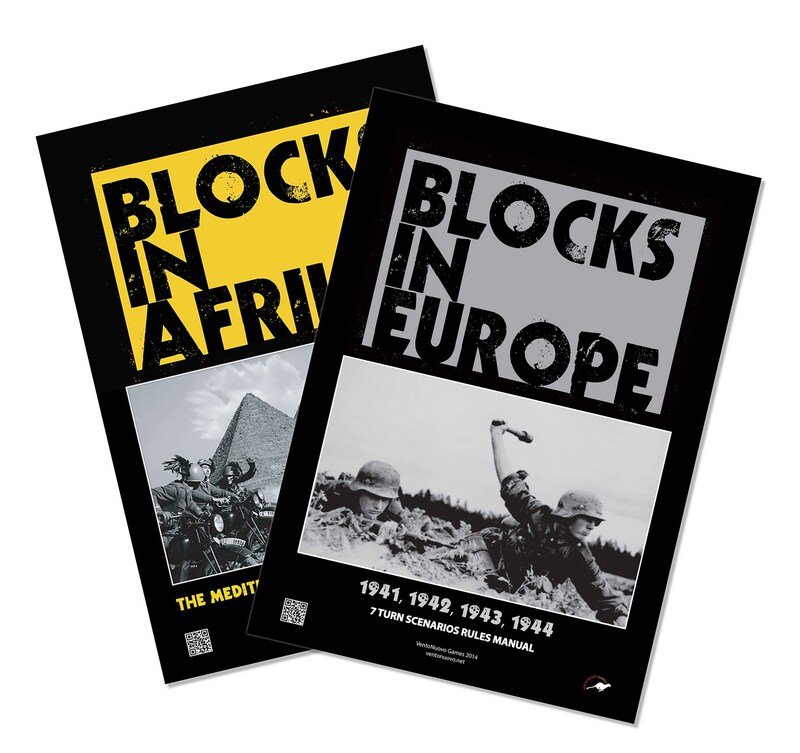 BLOCKS IN AFRIKA is a game for two players, with one controlling the Western Allies and the other controlling the Axis Powers. 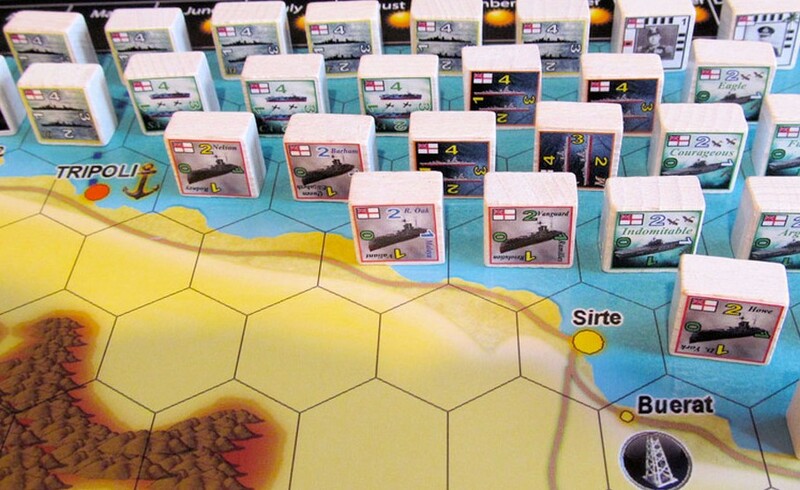 Although based on history, players can modify the outcome of World War 2 in the Mediterranean Theater. Can either side “do better” than they did in history? The answer is in your hands. A hexagon is approximately 43 miles (70 Km) across. A turn is equal to 1 month of battles. The rules are divided into three major sections which can be learned one at a time. The first section is the BASIC GAME RULES which introduces the fundamental concepts and allows players to start playing the game without too many rules to remember. The ADVANCED GAME RULES provide more specific and detailed rules for an enhanced realism, such as the use of Fuel and the Advanced Production System. Finally, for those players who want to get the best out of the game, OPTIONAL RULES can be added as desired. The Optional Rules include Strategic Warfare, Panzers Attack!, rear area operations, U-Boat campaigns and more. 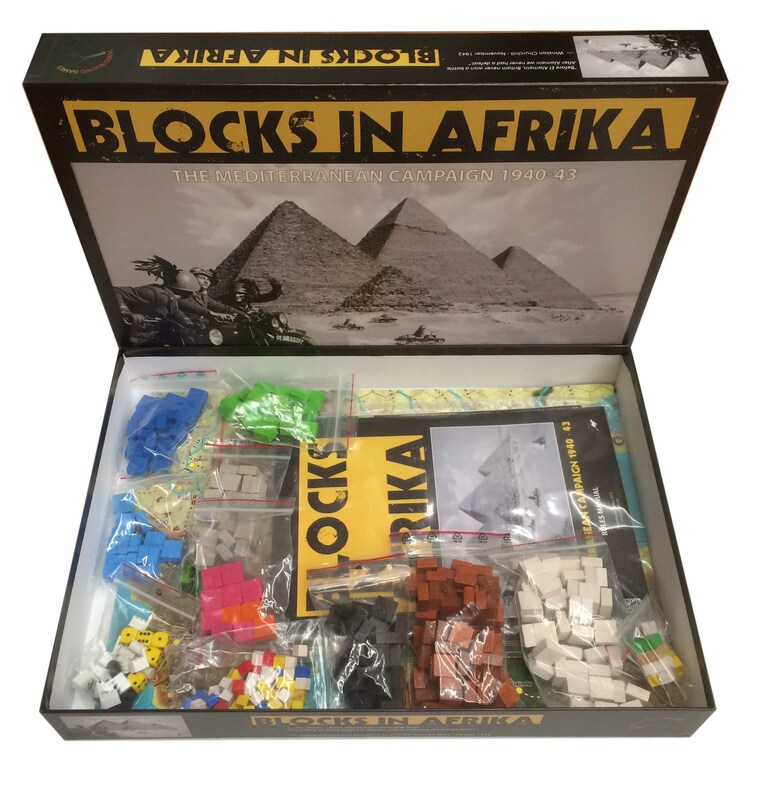 Plus, Blocks in Afrika includes a dedicated Naval Module allows to relive the most important naval battles fought in the Mediterranean Sea between the British Royal Navy and the Italian Regia Marina and expands the use of naval units in the other Blocks games. It’s part of that “two faced” element, where BiA is a stand alone, but also makes both Blocks in the East and Blocks in the West better and more complete. You even get blocks and stickers (and scenarios) for adding more to those games! 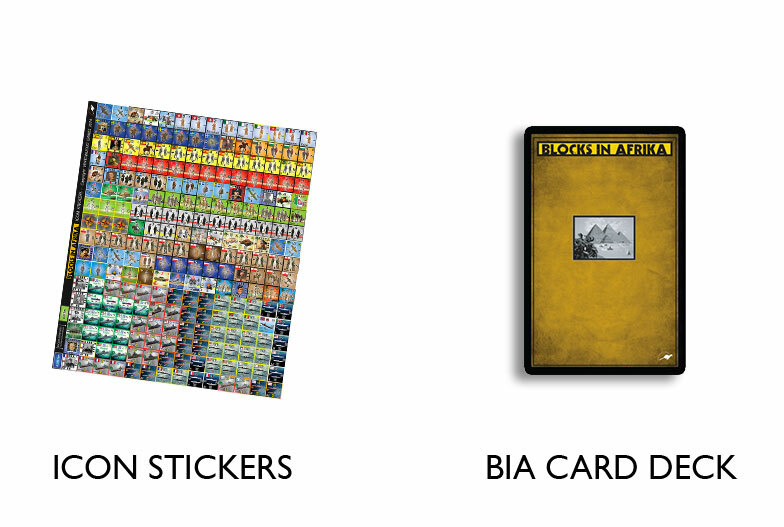 Players can enjoy hours of fun playing one of the TEN BIA scenarios. See below—there is even MORE fun in the BiA box when combine it with other games! These scenarios are primarily NAVAL! 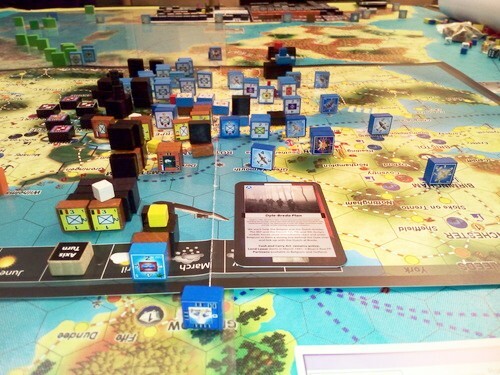 Every scenario has different Victory conditions and length, with a playing time from 1 to 2 hours. You can also choose to combine all three for just the “end game,” which starts in 1944 and runs through the end of the war. 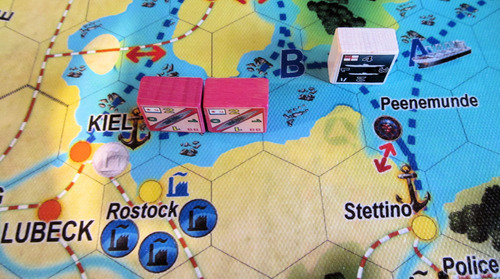 The game is best when played with the Fog of War ON (wooden blocks are placed on the map in such a way the opponent player can not see them). Keeping track of current strength is easy, but opponents will never know how strong an enemy area is until they get involved with it.